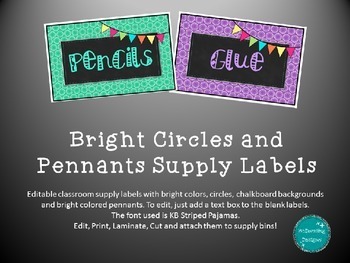 Editable classroom supply labels with bright colors, circles, chalkboard backgrounds and bright colored pennants. 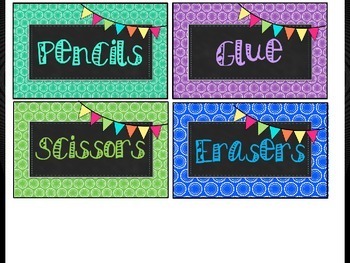 To edit, just add a text box to the blank labels. The font used is KB Striped Pajamas. 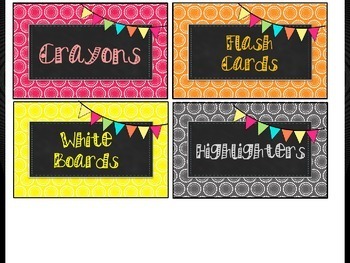 Edit, Print, Laminate, Cut and attach them to supply bins!